Enabling technologies: Enabling technologies that reduce the cost of exploration and increase the probability of success for energy resources. The company will face little competition within these two symbiotic niches. Initial indications are that it will receive strong support from the government due to its focus on backing high potential BEE techno-entrepreneurs and local communities. Passive Seismic Tomography (Pty) Ltd (“PST”) is a company set up to pursue a technology after which the company is named: The problem that it plans to address lies in improving on the $10 billion seismic industry. Costing $200k per square kilometre, seismic is a required component of the conventional exploration toolkit for oil and gas. It has major shortcomings – which include the fact that it is not particularly effective – with a 3% success rate in rank wildcat exploration opportunities that Alumni plan to pursue. It is expensive onshore and less effective than onshore as well as being environmentally invasive. Where seismophones need to be placed at the bedrock which can be on the surface or separated by 200 meters of sand which will need to be drilled at 25 meter intervals over thousands of line kilometers. Passive seismic tomography measures naturally occurring seismic events in the earth’s crust delivering similar data – but it takes longer to acquire the data. PST plans to reduce the cost through the development of a simple, low-cost geophone and centralized virtual seismograph system to reduce the cost of onshore seismic acquisition by 10 – 100 fold depending on the individual circumstances of the onshore concession area explored. Like Gyrotek, PST has landed its first UK R&D development partner and the same first customer in the form of a UK-based exploration project in Namibia. Geodesic (Pty) Ltd (“Geodesic”) addresses the shortage of oil and gas drilling capacity in Southern Africa: It is currently not possible to drill an oil and gas exploration well 4,000 meters onshore, as there is no drilling equipment on the subcontinent able to do this. 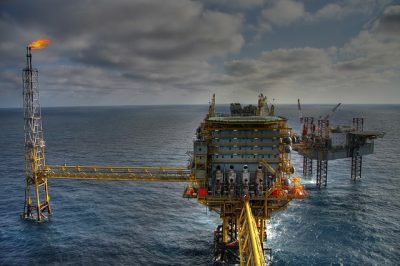 The cost of mobilizing and deploying a rig to the site was quoted at $8 million (R104 million). Geodesic will exploit the favourable rig buyers market, by buying a 2,000 Horse Power rig capable of drilling 4,000 meters for $2 million (R26 million) in a US distressed debt situation. Over 600 rigs (30% of the total are standing idle in the USA currently and the same rig would have cost over $30 million (R420 million) in 2014. By locating the rig where it is going to be working, it can be mobilized for as little as $200k (R2.6 million). Other savings and process improvements will reduce drilling costs excluding mobilization and demobilization by 50%. These include using thin well pre-drilling, with a specifically designed blow-out preventer on a smaller mining rig to improve information close to the surface, strategic procurement reducing the cost of consumables such as drilling mud and casing, and localizing provision of services. Like Gyrotek and PST, Geodesic has landed its first UK R&D development partner and the same first customer in the form of a UK-based exploration project in Namibia.